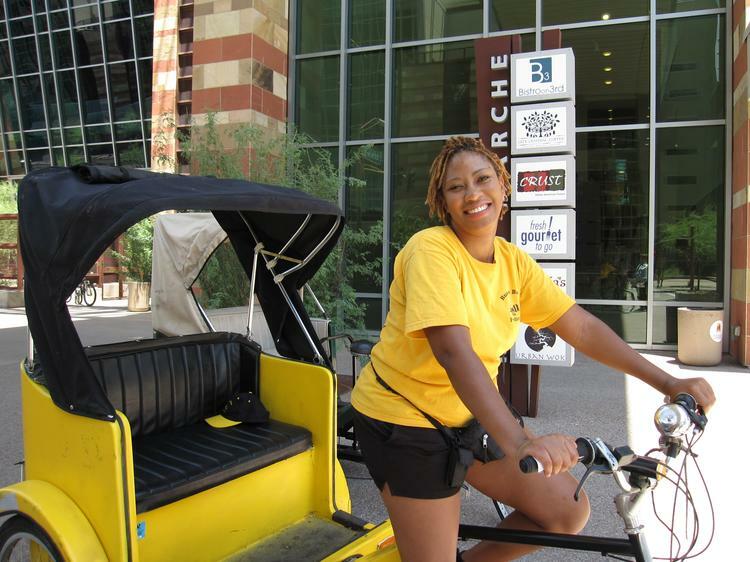 Bumblebee Pedicab offers Pedicab services for Phoenix, AZ and surrounding areas; Downtown, Phoenix, University of Phoenix Stadium, US Airways Centre, Downtown Tempe, Scottsdale, the Valley of the Sun, bars and nightclubs. Whether you’re just out for a night on the town, hosting a small private party, or planning a large group event, Bumblebee Pedicab offers a wide variety of services so you can get to your next destination in style. Our entertaining drivers will make your ride safe and memorable. We also offer advertising, click here to contact us for more details.